On a break from filming the water ballet sequence from MGM's Neptune's Daughter, starring Esther Williams (squatting in the center). My mom is the third from the left. Hi, did you miss me? It has been awhile since I could bang out a blog for you. I have had to add nurse to my many Herculean labors. My 81.9-year-old mother fell ill the very day I finished my seven-week marathon conceiving, writing and producing Predictions for 2010. Seven weeks of 15-hour days notwithstanding, I had to Gurdjieff-girdle my loins, sizable adrenal pools of energy and subtle-body soul resources to take Mom to the hospital whilst running my seven ring circus and become her nurse in the recovery phase when she returned home a week later. She is a former MGM dancer. Some of her dancing partners (if you are still hoofing it) might remember her by her maiden name, Irene Hall. The rest of you might have seen her frolicking with Fred Astaire and Ginger Rogers in the Barkleys of Broadway (1949) or swimming in the famous water ballet of Esther Williams in Neptune’s Daughter (1949). If you are a real MGM musical fanatic, you might have the CD version of the latter and see my mother dancing to the wild and restored Coogat South American band number. She’s the cherry blonde goddess sliding on the glossy dance floor into the camera screaming deliciously. It is a good thing she did all that dancing and swimming, because with two new stints in her heart — a great heart that will have spun 82 times around the sun’s orbital dancing circle on 2 January 2010 — is in pretty good condition and she is recovering rapidly. Although the temporal window for the Predictions for 2009 is half way through its final month, I am struck by the accuracy it has achieved. Near-100 percent accuracy on the world weather and climate change predictions. Many long-shot forecasts happened, such as the picking of an African American as the head of the very Caucasian-uploaded Republican Party. The US unemployment numbers above 10 percent for the end of 2009. The book fore-chronicled Obama’s positive few steps forward in foreign policy and his many steps backwards on a number of his economic and domestic experiments. My oracle in December 2008 saw him diplomatically rethink his economic strategies in December 2009 — as it turns out he is doing with plans for a new stimulus program the oracle had predicted. The strain of his change agenda not sprouting in tangible “do” was all carefully detailed before he was sworn into office. And yet, the promise of greatness, as I predicted, flickers yet and may alight in the future. Those of you who have read Predictions for 2009 know it anticipated many surprising things, such as China’s economic Great Wall strategy, the rise of citizens in America and many other countries moving together to find solutions and jump start a green industrial revolution while governments stagnate, pontificate and ponder-pundit. The Obama administration mused on shovel-unready national recovery programs that the book foresaw were dead in the backhoe bucket before they were even legislated. Domestically grown jihadist terrorism did strike in November 2009 with Major Hasan’s shooting spree massacre at Fort Hood, Texas — small-scale with guns, not hijacked planes, as foreseen. 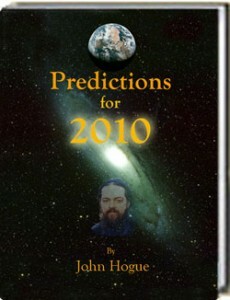 When I review Predictions for 2009 against the newly released Predictions for 2010, I experience them as two books in one. The first sets up many of the themes further evolving in the coming new year of 2010. I would highly recommend that those of you who have not read Predictions for 2009 consider having a go at it. Its year is nearly finished but many of its predictions read like a foundation for what is coming in the volatile and altogether surprising wild car new year of 2010. I believe your understanding of the new decade coming will be much enriched by reading it. 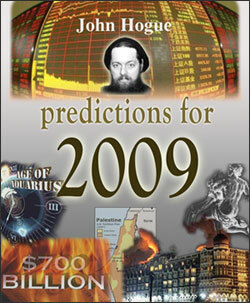 So that you can be presciently enriched without losing monetary riches, I now offer Predictions for 2009 for only $6.26. If you purchase it as a preface read for Predictions for 2010, you will be getting two fully illustrated 36,000-word ebooks of high quality, for a low price you will rarely see in book stores filled with trashed tree pulp paperbacks and hardbacks. Only $18.75 for both books. Well Rudolph my red nosed Reindeer, Santa! Kwanzaa my gift sock, Shaka Zulu!